The Houston Astros readied to open the 1995 campaign and reliever Dean Hartgraves readied to join them. He readied to join them for the first time - after playing eight full seasons in the minors to get there. "It just blew me away because I never expected it," Hartgraves told The Tucson Citizen that April. "As long as I have played, there were times when you begin to lose hope that you can play (in the majors). I've played a long time, and this is a dream come true." Hartgraves went on to play much of that year with the big club in Houston, 40 outings. He also played in parts of two more, getting time with the Braves and the Giants. In all, he'd get into 84 big league games, turning in a big league ERA of 4.41. Hartgraves' long path to the majors began in 1987, taken by the Astros in the 20th round of the draft out of the College of the Siskiyous in California. Hartgraves started with the Astros at short-season Auburn. He moved to single-A Asheville for 1988, getting into 34 games, starting 13. In one of those starts, he threw a no-hitter. "I've never thrown a no-hitter in my life. Not in Little League, Babe Ruth, or high school," Hartgraves told The Asheville Citizen-Times after the feat. "This is just an incredible feeling." 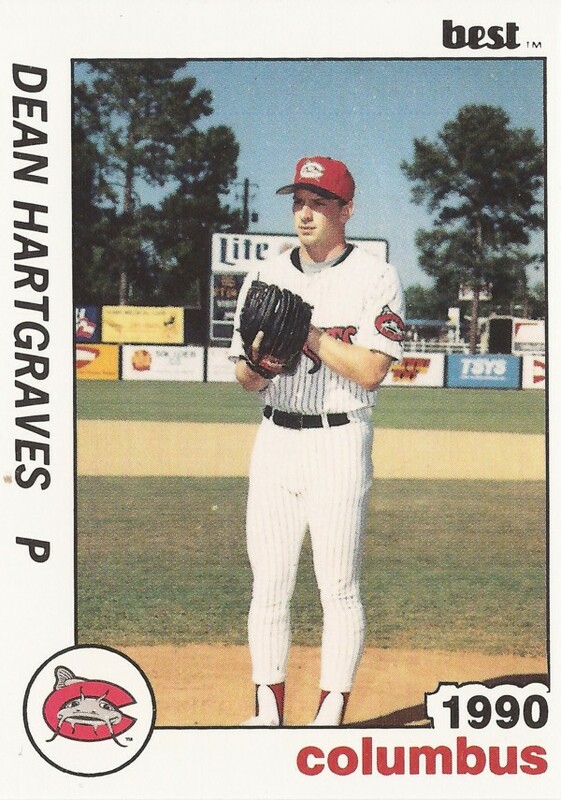 Hartgraves made AA Columbus in 1990, then AAA Tucson for the first time in 1991. His 1991 campaign was the first of six seasons where he'd see time in Arizona. He started that 1995 campaign at Tucson. He then got his call to Houston. Hartgraves pitched in 40 games for the Astros in relief that year, turning in a 3.22 ERA. That July, future Hall of Famer Tony Gwynn got the best of Hartgraves, hitting an inside pitch for an RBI single. Hartgraves returned for 19 more outings with the Astros in 1996 before being taken off waivers by the Braves in July. He then got into 20 more games. Overall, he posted a 4.78 ERA. After playing 1997 back at AAA, Hartgraves returned for a final look at the bigs with the Giants in 1998. He got into five games that year. He gave up six earned in 5.2 innings. Hartgraves played part of one more season as a pro, signing on with Chiba Lotte in Japan. He got into 3 games, starting two, ending his career. In April 1996, The Citizen asked Hartgraves about his first season in the bigs. He repeated that it was a dream come true. "It finally paid off," Hartgraves told The Citizen. "It was even sweeter for me being a fringe player and not a prospect expected to make it."